orwich City FC is a three time FA Cup semi-finalists and have won the Football League Cup two times (1962 and 1985). Among the most prominent players that have played in the club Ron Ashman, Graham Paddon, David Cross and Martin Peters could be mentioned. The club has also the famous nickname The Canaries Yellows. 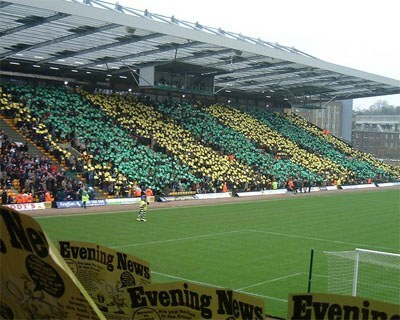 Norwich City vs. West Ham United Carrow Road in 2004. Norwich City Football Club was founded in 1902. They became a member of the Football League in 1920. Their best result in Premier League is a third place in the 1992-93 season.